Give them the power to create impact with positive actions to meet their goals and help you meet yours. Use the power of social media to create a snowball effect that leads to success fueled by authentic conversation. Fuelling authentic conversations that will make reaching out to the right people, simple. 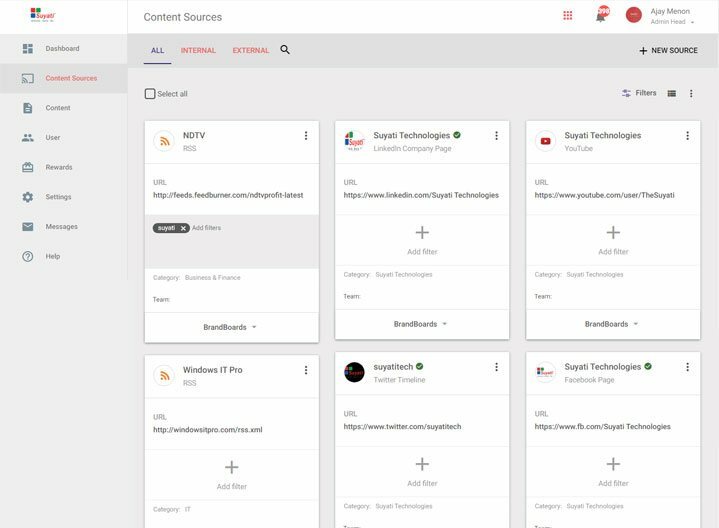 Add your existing social channels and new content sources, plug-in RSS feeds, and encourage your employees, customers, fans or partners to create conversations. Customise further into Internal, External and Advocate-Suggested groups. Organise, moderate, review and post approved content. Retaining control of the voice of your brand, and quality of content. Create brand advocacy teams and designate roles. Content is only as good as its reach, by connecting the right people with the right content, generate in channel shares and engagement. 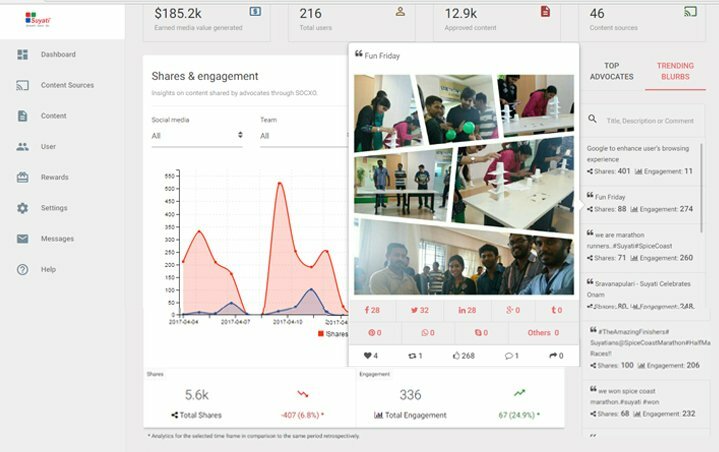 Link brand social pages to your stakeholders to share content with their network and amplify! Build reward based tactics around your Advocates and get them talking to you, about you and for you. Reward them for their efforts with leaderboard ranking, redeemable points, gift vouchers, and awards. 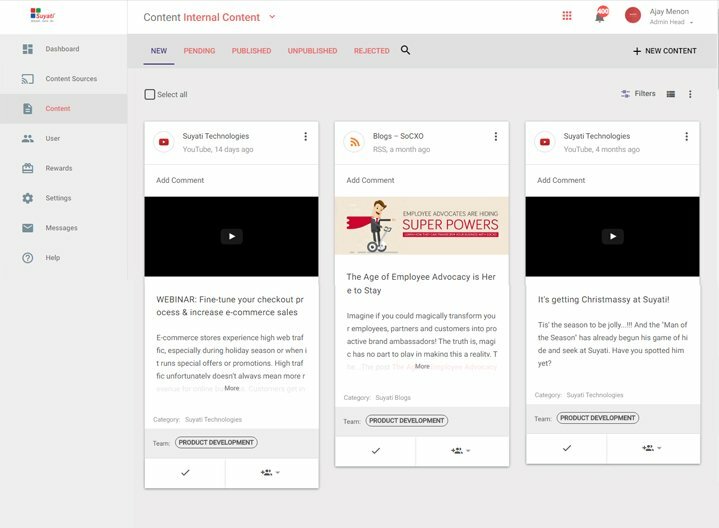 Get a 360° view of the content you’ve pushed through the tool. 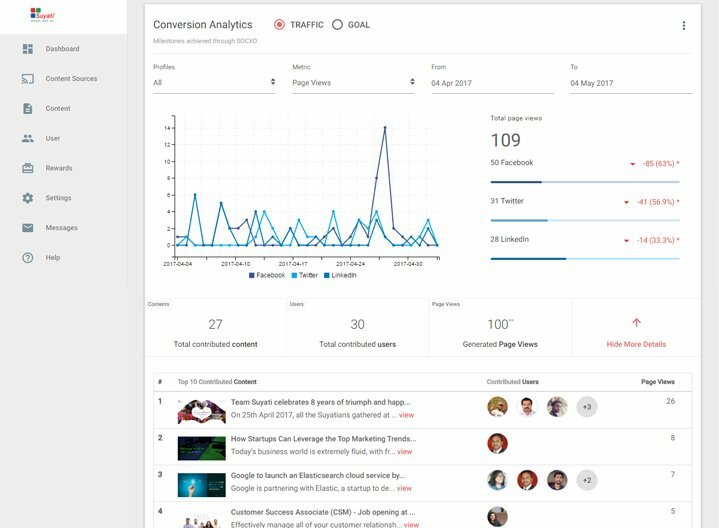 Tap into advocacy and engagement KPIs, track likes, shares and reach metrics and for a more bird’s eye view - get auto-generated traffic graphs and more. 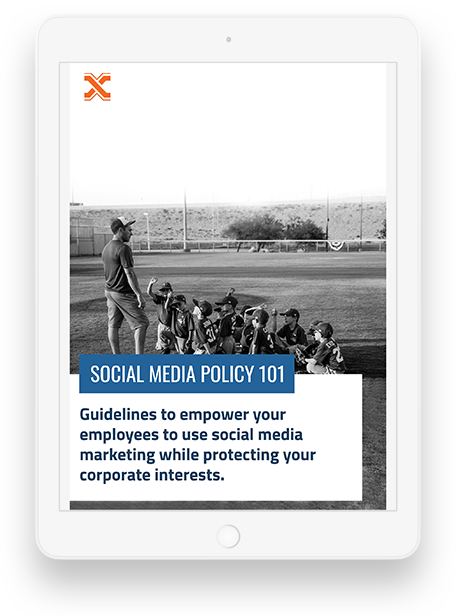 The white-labeled app powers up your brand advocates with an easy to use interface. It enables them to engage with the content, recommend content, share it and get rewarded on the go. 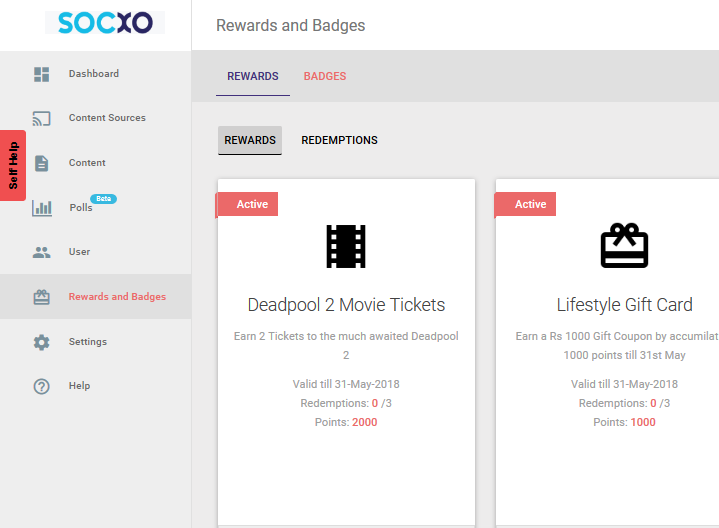 Bring SOCXO brand advocacy features into play.